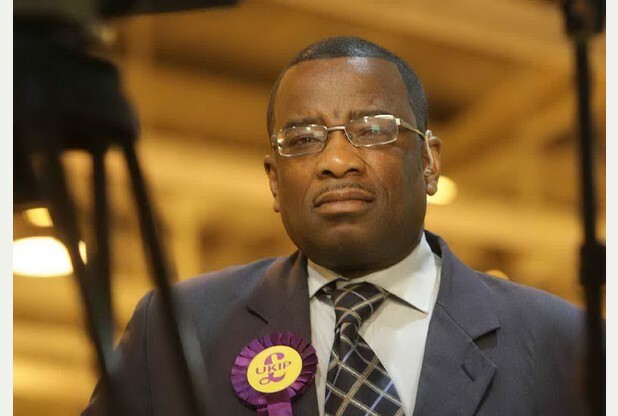 UKIP has suspended Winston McKenzie as chairman of its Lambeth and Croydon North branch after members expressed suspicions that he may be black. Mr McKenzie was suspended after a letter of no confidence was signed by a number of members who have called on him to officially confirm he is not black – or step down as chairman of the branch. The group has also asked Ukip’s executive committee to deselect Mr McKenzie as prospective Parliamentary candidate for Croydon North at next May’s general election should a formal investigation confirm he has been secretly concealing the darkness of his skin. Mr McKenzie – who has admitted he may have inadvertently been black on at least one occasion in his youth – said his problems with the colour of his skin had been ironed out well before he he joined UKIP and declined to comment further. No, Winston is definitely not black. Winston is not a black dude’s name. He is brown. He often gets mistaken for Trevor MacDonald, who is also brown….. On the other hand, Barry White was black and Cilla black is white….. The “funny” thing is… should his party ever get a majority (I know, I know, stop laughing at the back) he will immediately be sacked from his seat by UKIP and shipped off back to “bongo bongo” land and his seat will then be given to a nice white ex-cuntservative (sic) member. NOW THEN MATE WHEN DID REQUESTS EVER GET HIDDEN? “you probably also think I was “wrong” when I once wrote that NATO was planning to attack IKEA too…” Whooosh! Sorry, I don’t think I saw the one about IKEA. Was it funny?